Get to know Holtan's Jewelry! When Quinn and Rosalie Holtan first opened the doors to their business in downtown Winona, it was called "Holtan's Catalog Showroom" and featured a mind boggling variety of merchandise. Customers could purchase jewelry, giftware, electronics, housewares, baby products, and even bicycles...all under one roof! However, Quinn and Rosalie's passion had always been jewelry, and it was the jewelry end of the business that really took off and prospered. In 1993 the store was remodeled to focus only on jewelry and giftware, and in 2002 the storefront was removed and a dramatic modern design emerged. 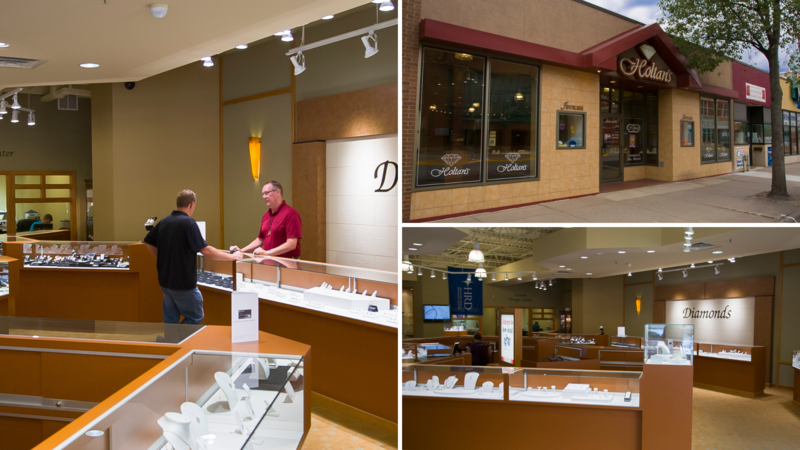 Holtan’s Jewelry is now known for expansive selection of jewelry, engagement rings, and loose diamonds. Holtan's Jewelry is a member of the Independent Jewelers Organization, which is an elite group of retailers hand-selected for membership. IJO is an organization which only accepts jewelers with the highest ethical standards and superior professional integrity. As a Master IJO Jeweler, Holtan's Jewlery receive benefits such as expert training, allowing them to update our knowledge, skills and experience to help you make a confident jewelry purchase. Group purchasing power allows Holtan's Jewelry to pass a significant savings on to you while maintaining the highest quality products. Master IJO Jewelers adhere to an ethical code-of-conduct offering the honesty, trust, integrity and "Brilliance You Deserve"® no other jeweler can provide. 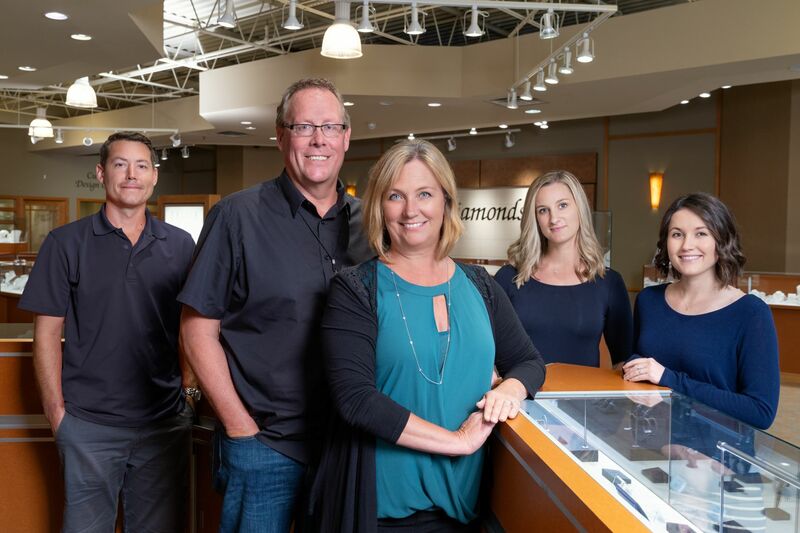 Both Holtan's Jewelry and its team are are active members of the Winona community, which means they strive to offer an unsurpassed level of service to everyone that comes through their doors. Holtan's Jewelry is also Winona's premier full service jewelry shop featuring in-house manufacturing and custom design. Holtan's also offers fast, reliable in-store repairs featuring laser welding done by goldsmith Marshall Holtan. Holtan's Jewelry array of in-store repair and custom design services include: custom wax carving done by hand, computer aided design (CAD), 3D printing, casting, stone setting, hand engraving, remounts and all levels of fine jewelry repair. Our goldsmith, Marshall Holtan, has over 20 years experience in jewelry repair and custom jewelry design. As a direct diamond importer, Holtan’s Jewelry travels to Antwerp, Belgium twice a year to hand pick diamonds for the store and for its customers. Buying direct from this major diamond cutting center provides unprecedented selection and value.